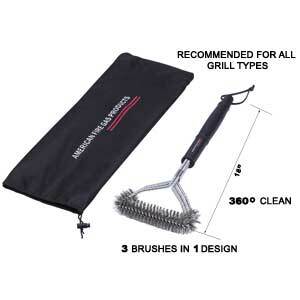 This 18" Three thick wide brushes, can be used with multiple gas grills, Weber grills, Brinkmann grills, Charmglow grills, charcoal grills, smoker grills, porcelain grills & infrared grills without causing any damage or scratches. 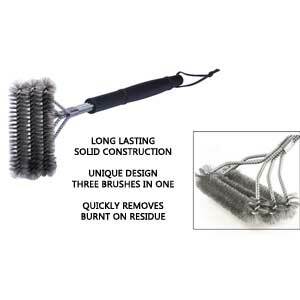 3 BRUSHES IN 1. 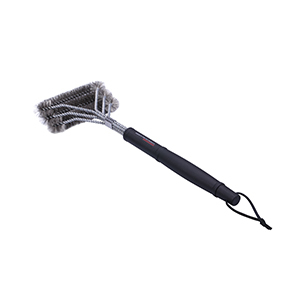 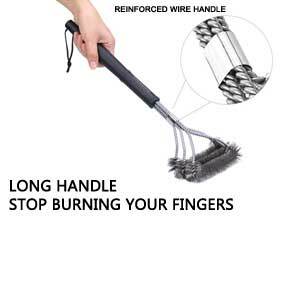 Triple the surface area of standard wire brushes, with this bbq grill brush.The bristles are made of stainless steel woven wire, which greatly reduces the risk of bristles ending up in your food.